When comparing prices on equipment rentals or tool rental in Santa Cruz, San Jose and Milpitas, ask about sales tax and environmental fees. Cuts through the most difficult materials with ease, ceramic tile, plaster, molded fiberboard, plastics, wood with glue or nails, plywood, concrete block, fiberglass, sandstone and drywall. Perfect for abrasive construction materials. 1 ea. Tungsten Carbide Gritted File, Bayonet Mandrel, and Pilot Bit in a Molded Storage Case. 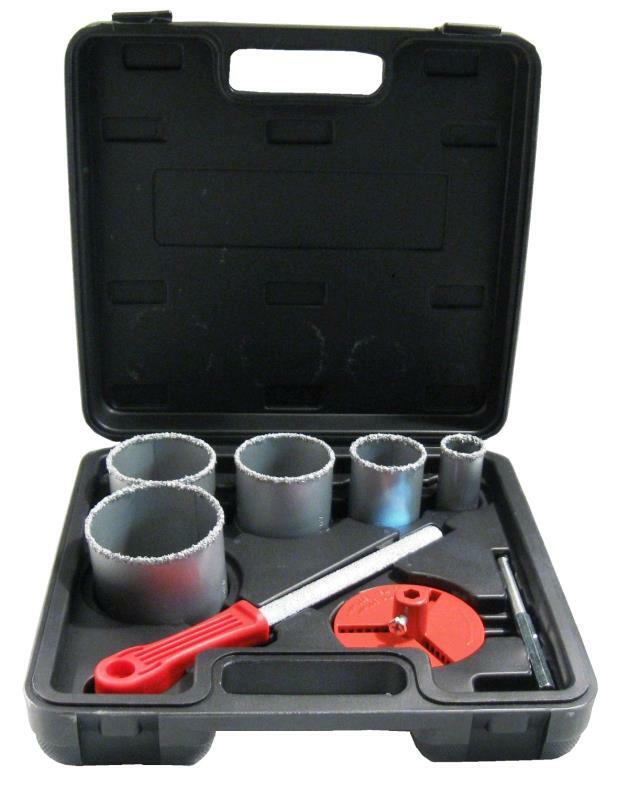 * Please call us for any questions on our ceramic hole 9 pc kit rentals in San Jose, Campbell, Salinas, Santa Cruz, Watsonville, Morgan Hill, Hollister, Santa Clara, Gilroy, Milpitas Sunnyvale, Fremont, Salinas, the Greater Bay Area and the Monterey Peninsula.